← Do you know your olive oil? …but offer me a grapefruit inside, and suddenly I am transported to a warm, sunny, tropical locale. Yeah, the temps in Chicago are hovering in the teens of late, and all I can think of is how can I be somewhere much, much warmer. With the airlines not giving anything away, an inexpensive way to whisk off to the tropics is to pick-up some sweet-tart, juicy grapefruits. 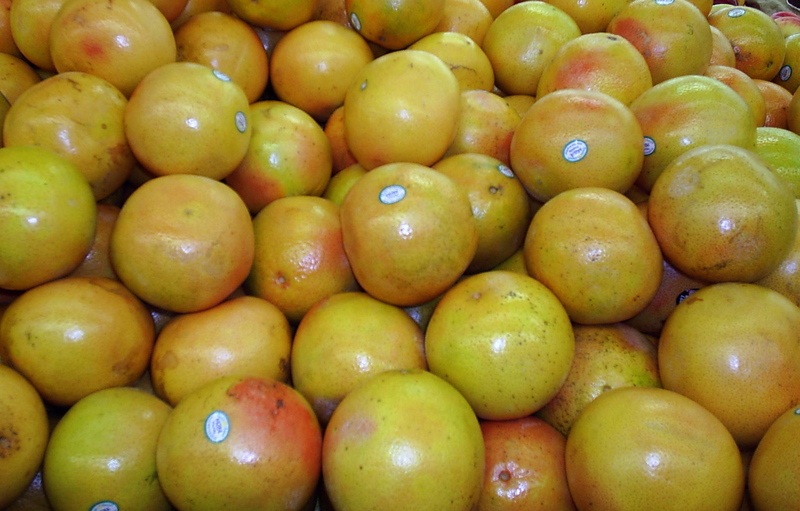 Not exactly a local fruit that will be found at one of the farmers markets, but head to a local produce market, or cross your fingers that a vendor, family member, or friend might be sending you box of citrus paradisi. Wrapped inside the dimpled peel is the taste of pure summer. Last nite I watched master mixologist, Daniel Love,* of Mercadito, concoct fresh grapefruit margaritas with muddled bits of grapefruit sections. Oh yes, the margaritas were sublime (and I won’t even talk about the citrus filled ceviche, OMG!). 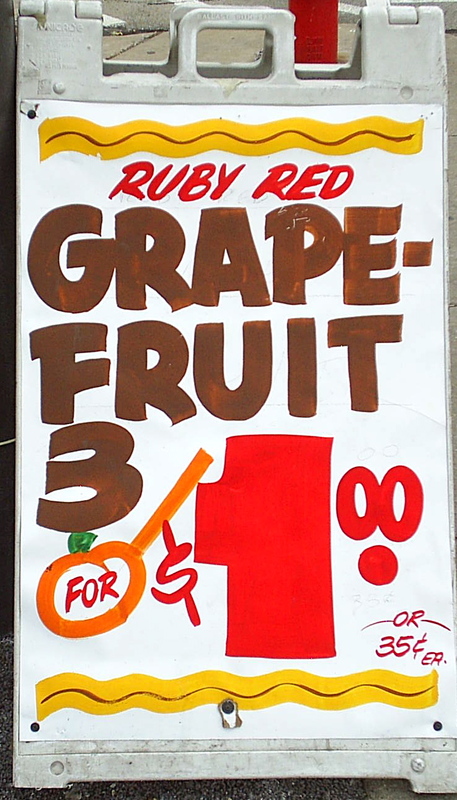 But, oddly enough, I woke up just hankering for more grapefruit. Off to the market to load up on some gorgeous Ruby Reds (be sure to pick out fruits that are heavy for their size, and omit a fragrant slightly sweet aroma) and then back home to conjure up summer in my kitchen, oh and get a bit of healthy and delicious to boot. Loaded with vitamin C, A, B5, potassium, folate, fiber and pectin, which helps regulate the blood sugar, which I would imagine could use a bit of regulating during the sugar high holiday season, grapefruits feel like a pretty guilt-free indulgence. I just love grapefruits as is, peeled and sections popped right into my mouth. But why stop there? Juiced (plain, or back in the afore mentioned margarita), sectioned into a spinach salad with nothing more than some avocado, fennel, pomegranate seeds, and a citrus vinaigrette, or transformed into a relish, or salsa, to top some grilled scallops or fish. 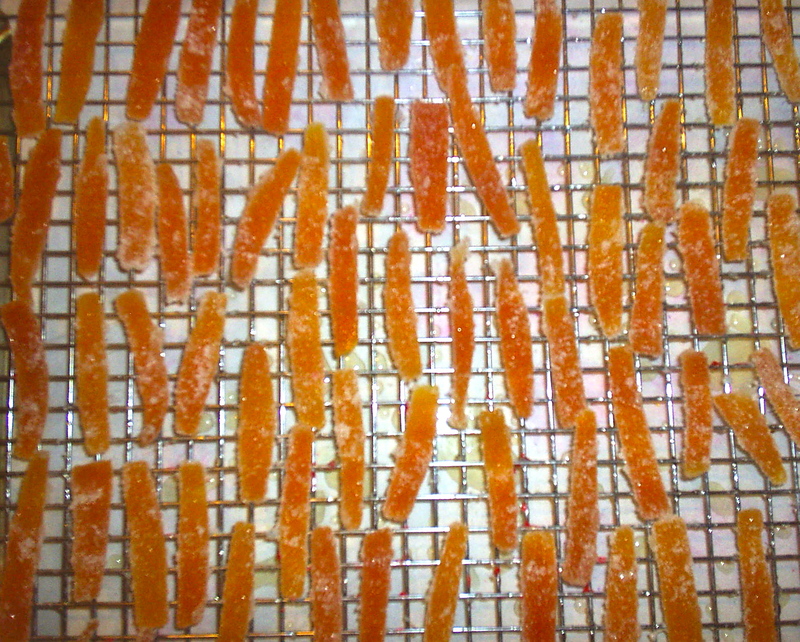 Now, since I like to use the entire grapefruit, I opt for the two-for-one during the holidays: Candied Grapefruit Peel (I figure for each one of those I consume, it cancels out the calories of each cookie I gobble down, yeah that’s it), and now what to do with the flesh? A grown-up palate cleanser for your holiday meals in the form of a Grapefruit Vodka Granita. Yes, both so, so, so good. Using a paring knife remove peel from the fruit. Without cutting into the flesh of the fruit, make six slits, from top to bottom, in the fruit. Gently remove peel with your fingers. Put fruit aside for that granita. Slice the peel, lengthwise, into 1/4 inch strips. Then, using paring knife remove excess pith (the white part) from each strip. Place strips in a large saucepan and cover with cold water. Bring to a boil and then drain. Repeat this step. Bring sugar and water to a boil, stirring until sugar dissolves. Add grapefruit strips to the boiling syrup, reduce heat to medium low and simmer for about an hour until the strips are translucent. Remove from heat and let strips cool completely in the syrup. Using a slotted spoon, or tongs, transfer strips to a wire rack that is sitting atop a rimmed baking sheet. Wipe any excess syrup from the strips and then roll strips in sugar. Place back on the wire rack, in a single layer, and let dry for at least 30 minutes. Will keep covered, at room temperature, for up to two weeks. *(updated) Award winning mixologist Daniel Love left Chicago for sunny Miami last year, so if you want to try one of his grapefruit margaritas you need to head down to Miami location of Mercadito. Happy Holidays! May they be filled with sugar and spice and everything nice. This entry was posted in To Market with Mo and tagged Andersonville Farmers Market, candied citrus peel, Chicago Area farmers marekts, Chicago Farmer's Markets, Evanston Farmer's Market, Farmers Markets, food artisans, fresh organic, fresh seasonal organic produce, grapefruit, grapefruit sorbet, Green City Market, to market with mo. Bookmark the permalink. 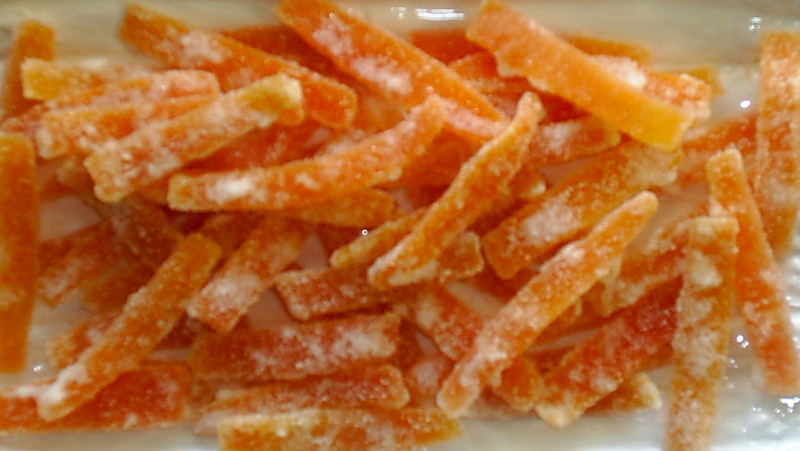 I had candied citrus peel on my list for holiday candy-making this year, but ran out of time. I’m making it when the kids go back to school – new year diet be damned!